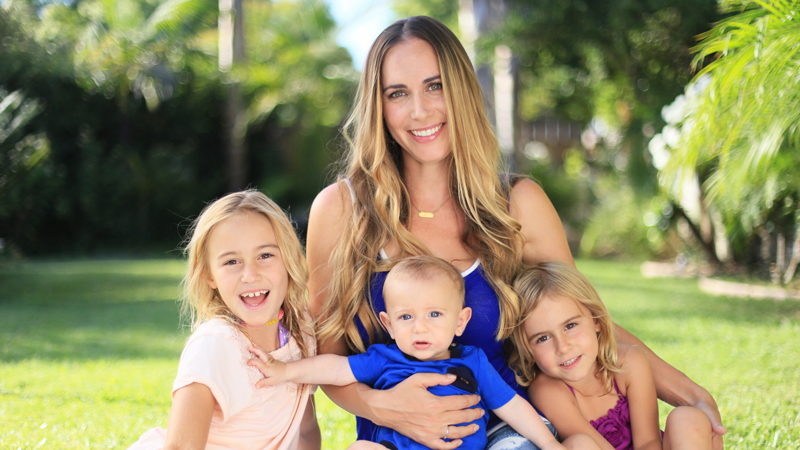 Click Here to watch anti-vaccine activist and health coach Brittney Kara share her story. 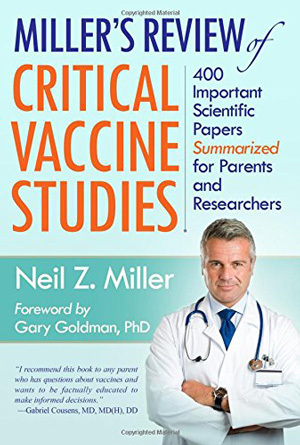 How many 100% vaccine free children do you have, how old are they and what would you say their level of health is? Leanne Hart: I am a mother of four children, three sons and a daughter. 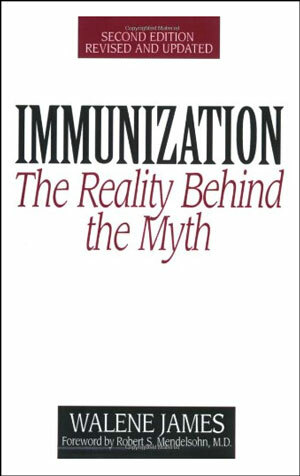 My oldest was vaccinated as per schedule (1997) until he developed mumps and a bacterial infection from the MMR. Bucal tests confirmed mumps and further analysis showed it to be the Jeryl Lynn strain…the vaccine strain, not wild-type mumps. He was put on IV antibiotics and made a full recovery. Needless to say, I was done with vaccines. None of my kids have a single chronic condition, never have had to be on antibiotics(except for the vaccine incident), never have had a single infection of any kind beyond a cold. Zero health issues and zero regrets as to my decision to stop vaccinating. Ali Honisch: My 2.5 yr old vaccine free son has had one cold he caught from me. He only eats organic food, no sugar, raw milk, nothing microwaved, filtered water and lots of time outside in the dirt. He’s very bright, strong, and robust. Ginger Holland: My 18 m.o. Grandson has never been vaccinated. He’s completely healthy, very intelligent, great motor skills, and has never been sick at all. My 16 month old partially vaccinated grandchild is always sick, regardless of a healthy lifestyle. Neither attend day care and associate with the same group of people. Casandra Noack: 22month old son. Zero vaccines, zero interventions, zero conventional meds. One cold-lasted maybe 2 days. Walked at 8months, first words at 9months, was able to recognize/name/say sound of each letter at 15months, counts to 10, knows all his colors, speaks in full sentences. He’s 31.5lbs and 35″. I’d say he’s the picture of health . Now, I wish I could say the same for my first. She was fully vaccinated. Had bouts of uncontrollable crying, colic, fevers from 4months on, ear infections, asthma, bronchitis, pneumonia, strep, ER visits galore. But since we stopped going to doctors for “wellness” she has thankfully healed. Our pedi (who is all for natural parents and isn’t a typical doctor) said we have our own science experiment at home. Seeing who was the healthiest. Shannon Grow: Daughter is 8 years old- no allergies, no skin issues, no asthma, no pneumonia, no flu, no stomach issues, never had diarrhea, no delays, no ADHD, no sensory issues, no behavior issues, spoke in complete sentences fully articulating and enunciating words at 2 1/2 years old. My granddaughter is 5, fully vaccinated, and has all the above. It’s the difference between night and day. 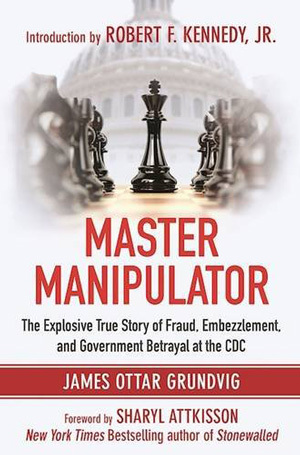 Jackie Nickole: 20 year old had all vaccines til high school booster. She’s always sick, in the hospital, colds linger, food sensitivities. 10 year old vaxxed until 1 year old vaccines caused swelling in her brain then I stopped vaccinating. I’ve detoxed her. She has still has sensitivity to gluten and milk which can trigger migraines at times. 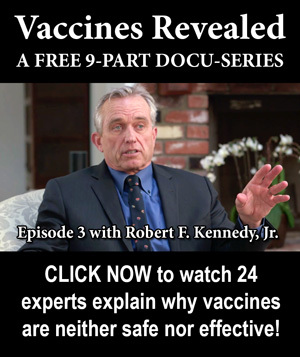 My 3 year old is unvaxxed other than vitamin k which I neglected to research. He’s extremely healthy. He catches colds but bounces right back and doesn’t catch many. He’s never had an otc or prescription med. Ashley Cates: 1 out of 2 of mine are vaccine free. That one is super healthy, never had a concern except for colds and a couple ear infections as a toddler, which I attribute to the antibiotics she was given as a newborn. Chiropractic fixed that. My partially vaccinated one has had developmental delays, sensory processing issues, gastrointestinal trouble, tics… But he’s coming back around with good nutrition and avoiding toxic junk. Ingrid Johanns: 3 unvaxed boys 10, 7 and 3. Seriously healthy kids. I can literally count on one hand the number of times any of them have been “sick”- where they have had a fever and needed to stay in bed, etc. and not one of them has ever been sick for more than two days in a row. Typically they’ve gotten better within 24 hours. They all are way way healthier than the vast majority of my friends kids who are vaccinated. To give you an idea, my ex, asked me once why our kids are SO much healthier than his co workers kids who “all seem to have issues…” I told him it was because we don’t vaccinate. I truly believe that is why. Anita Pagnani: A 4yo girl. So physically strong, she was carrying heavy weighted-balls in my gym at 1. Absolutely amazing and fascinating. I’ve had colds and pneumonia – despite co-sleeping and sharing drinks, etc she’s never sick! Our Dr is our naturopath, but we’ve never seen him for anything for her. So blessed. Best decision ever!! 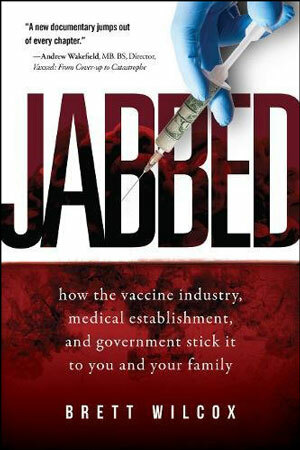 Julie Sabic: Two children 100% vaccine free. Ages 11 months and 4 years. They are in great health!! Our Pediatrician says, they are her advanced kids!!! Thanks to educating myself and hard research on chemicals in cosmetics and food and later vaccines, years and years before having children, is what led us to our decision. Melissa Goodwin: My son is 4. No vaccines. No vit k shot nothing. So healthy. No ear infections, nothing. No colds, flu, bronchitis, stomach bug, no allergies, asthma, add, ADHD. So smart for his age. He reads and carries on a conversation like he’s 10 years old. His sister is 13 and is vax injured. Tiffany Elizabeth: My daughters are both 100% vaccine free and are smarter and healthier than other kids in their class. Their teachers think they’re gifted and they get over any illness faster than any other kids. They’re smart enough to move up a class and are well above most of the class. The epitome of health and brains. No allergies, eczema, Asthma or behavioral issues of any kind. Brianna Kinney: I have 2 completely 100% vaccine free children – Ages 4 and 17 months. Neither have ever been sick besides the common cold once or twice, no food allergies, no seasonal allergies, no fevers, no ear infections, no attention disorders… both are extremely healthy and above average in absolutely everything. Patricia Thedish Tharp: I had three vaccine-damaged kids not one day without illness. I have one unvaccinated child he’s never sick not even colds and flus …..no infections.. no antibiotics.. no Tylenol…no illness no doctor visits. Lupita Salazar: Mother of one, he will be 2 in a couple of days and we haven’t had sick or ER visits. The only times he is not feeling good is when his teeth or molars have come in. Kira Kirstyn Simpkins: I have a six year old son. No vaccines or vitamin k shot. I gave him homeoprophylactic pertussis last year as all of the kindergarten vaccinators were getting their booster and potentially shedding. He’s had the sniffles a few times in his life which he has always gotten over in about 2-3 days. He had a stomach bug a couple of times. He’s been on antibiotics only once in his dad’s care and I’ve never given him Tylenol. He’s been to emergency once for a fall, once for one of the stomach bugs, and once from a high fever (new mom panic)… where of course 3 doctors tried to convince me to vaccinate whereby wasting emergency time (giving a baby with 106 fever a vaccine is NOT even advised by the manufacturer) He is by far one of the most healthy kids I know. Amanda Saucedo Bergmann: 2 vaccine free kids, one on the way. They have only ever gotten super contagious illness from friends (HFMD and roseola) and each a cold or 2. So I’d say super duper healthy. Anytime they’ve been sick, they bounce right back within a day or 2 after some holistic vitamins and mama’s special homemade herbal medicines. And they’ve never been to see a a doctor for an illness. Stef Miharas: Myself 44- never sick more than 24 hours in my life ! Had blood work done and I am perfect! I think I should lose 10 lbs but apart from that I have travelled the world and eat everything. We are GMO free, we use RO water, we clean with dr. Bronners hemp! Haley J. Mills: My son is 2 and a half. Never had to go to doctor for sickness. Has been around stomach viruses, and flus, and ear infections, croup, and never gotten sick more then a common cold, or symptoms from teething! Vaccine free. Mindy Elizabeth Theo: 3 100% NOT vaccinated. Ages 2 and twin 9 month olds. They have never been to the ER for a “preventable disease”. My 3 kids 100% vaxxed on the other hand, were in and our almost daily. So many problems and illnesses, including whooping cough. In our home those who were vaccinated are are injured. That is 100% injured just in our home. Heidi Egarter: My 11 year old non vaccinated son …never sick aside from the odd gastro. No allergies. Highly intelligent and sporty. Older son 20 had three vaccines spaced out and given separately (tetanus. Polio and hib meningitis). Anaphylaxis of unknown origin, croup, asthma, hayfever and tinnitus. Stef Miharas: My niece – 5 years old – spit fire – not one ear infection. Had a 24 hour bug in 5 years – she has a chant – corporate America does not belong in science! 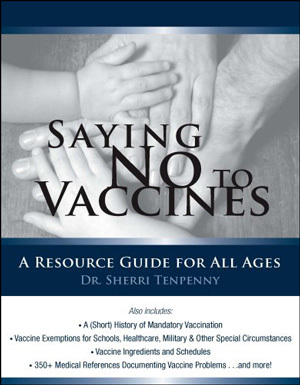 Tiffany Lynn: My son was injured…my daughter is 2 in a half.. No vaccines… Never an ear infection. Two times she had a fever.. (Lasted 2 days each), mila had strep throat last year….gave her penicillin.. Mila has not seen dr since last year!!! . She rarely gets runny nose, no dev issues no eczema, no allergies..my son (22 doses) had every single ailment except seizures and cancer. Kristen Jolivette: 2 kids zero vaccines. No chronic illnesses. They catch a cold about once a year. 1 yr old and 3 yr old. Kiera Leatherman: I have 3 unvaccinated. They are 1, 3 and 5. Completely healthy. No issues. Amy Marie Morse: Mother of 1, completely unvaxxed. Never been sick until just recently with a ear infection (no doubt on year molars). Seija Beth Kingston: 14 year old vaccinated until 14 months has eczema. Susan Skolfield Jorg: Three grandchildren. Much healthier and more mentally alert at an early age than their parents were. Patti Richards: 4, 100% unvaccinated, all adults now. All Very healthy. Their dad also. Jon Wise DC: A 6 year old… One of the healthiest kiddo you will ever see! Christie Anne: Two vaccine free children. 1. Girl, 2.5yo and 100% healthy 2. Boy, 14mo and 100% healthy. Alanna Rose Foster: 3 unvaccinated children ages 20, 6 & 5 all incredibly healthy. S Loire King: Three. Stellar health. Have caught a couple sniffles and thrown up a couple times (in 8 years) and all respond wonderfully to essential oils, homeopathic remedies and basic supplements We eat about 80 clean. Very pleased overall. Deborah Roeder: Three boys, ages 2, 4, & 6. All birthed at home with midwives. No Vitamin K, no vaccines, no antibiotics ever. Nothing. All three were adjusted at birth and throughout lives as needed. None of them have been sick, no ear infections, no allergies, nothing. Not a single health issue with any of them. At their annual well visits our MD (holistic) asks why we’re there. “To get your signature on a piece of paper, Doc”, I respond. His response? “Thanks for keeping these kids so healthy and for not messing with nature.” It’s not rocket science…it’s just the only way that makes sense (and their optimal health is a living testimony)! Carmen Estel: 1 vaccine free 5 year old. Almost never gets sick. Maybe 3 times in her life other than the occasional upset tummy from eating unhealthy food here and there. No allergies or ear infections ever. Impeccable health by all standards. Never taken pharmaceutical medication or antibiotics. Never needed them. Mads Schroeder DC: Me 54, my kids 26 & 24. All perfect health. Ken Bagwell: 2 kids. Oldest 13 had a few shots up to age 1. Youngest 8 had no shots. They have occasional colds but no weird allergies or flu’s or any weird health problems at all. Jennie Reed: 3 robustly healthy sons, 100% vaccine free. My oldest is almost 11 and the twins will be 4 in February. No ear or autoimmune, issues. 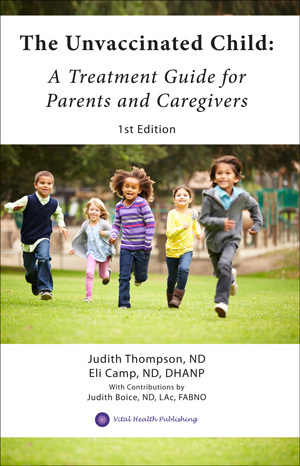 No food allergies, asthma or behavioral issues. All are kind, smart and fun. I’ll never know if they would have had reactions to vaccines and I hope I never do. Tiffany Jolly: 4 and 6 and the healthiest kids in school. Britni Williams: 3 kids. ages 11, 7, 1 they are in excellent health and rarely get sick, never had ear infections or any major illnesses!! 100% vaccine FREE. Flores Ruben: I have 2 1/2 yr old daughter, vaccine free since birth including only no eye ointment at birth. In fact, we don’t have a pediatrician for her. She’s never seen one either. Her health is amazing! The worse she’s had is a running nose once or twice since birth. In my household she’s not allowed to eat anything with sugar unless of course fruits. The worse thing she’s eaten with me is a bag of lays lemon chips or funyuns…. am I a bad parent for wanting the best for my child? I’ll be going up against the state and her mother very soon, though we agreed before birth we wouldn’t vaccinate her but we’re no longer together and I wonder what she plans on doing? Side note: she almost gave in to the nurses at the hospital, but no way in hell will I allow it if I am there. Hope sharing my story helps! Denise Aguilar: I’m a mother of three. 17, 5, 2. My first two were vaccinated and injured from it. They have issues such as eczema, migraines, ear infections, sleep apnea and have trouble eating. My two year old is vaccine free. Never has had any of the above, never been sick minus the common cold that his body expelled without any type of medication. Eats amazing, loves his sleep and has excellent health. I have my own vaccinated vs unvaccinated study in my home. Kristen Rice: I’m a totally unvaccinated mom of two, and both of my children are also totally unvaccinated. They are very healthy. My oldest has a seasonal Spring air allergy which begins just as the weather gets warmer but resolves within a week or two. It’s happened every single year without fail since she was 1. That’s about it. No other chronic conditions for them. I’m a little different but I think I’m a success considering all things. I have a history of abuse and high stress during adolescence. When I was 16 I was diagnosed with Graves disease (autoimmune hypothyroidism). Then, after 2 healthy pregnancies, I was diagnosed with Hashimoto’s Thyroiditis (autoimmune hypothyroidism). 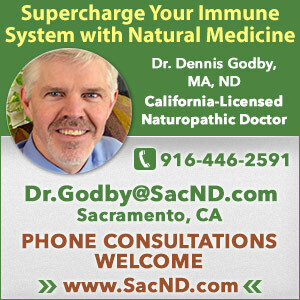 I take natural dessicated thyroid (Nature-throid) for that now and I’m doing well. When I was 27 I was diagnosed with a brain tumor in my right temporal amygdala. The doctors said it had been there for at least 5-8 years. It was technically a cancerous tumor but the lowest grade (1). I have been tumor free since surgery 5 years ago and besides dealing with mostly mild partial seizures, I’m totally fine. I can’t multi task like I used to, but my tumor was a glioma, and the most common gliomas are GBM aka GB4. I consider myself very lucky to have had a “pediatric” tumor. Doctors say I may have been born with it and just never knew. It was an incidental find. So, can you imagine if my parents pumped me full of neurotoxins as a baby and child!? It would have been like pouring gasoline on a spark. Brittjay Jaybritt: I have an immunecompromised (heart transplant) one year old. He has been sick 2 times, same as me. He fights it off just like any normal kid… I was told he would be sick 8 to 15 times a year. thank You Jesus! Jessica Murphy: We have a 4yo (almost) and a 6 month old. Both are unvaxxed. No sickness that’s caused us to go to a dr. No antibiotics. No asthma, food allergies, chronic illness. My oldest goes to nursery school 2x a week and STILL doesn’t get sick! Gail Watson: I have 7 children aged 23, 20, 18, 16, 14, 11, and 8. All non vaxxed all fairly healthy. They have all had chickenpox!! But sailed thru it. Non have allergies asthma etc. But my 11 yr old was diagnosed with Type 1 diabetes 9 months ago totally unexpected no family history etc. So can’t blame vaccines for every autoimmune disease. 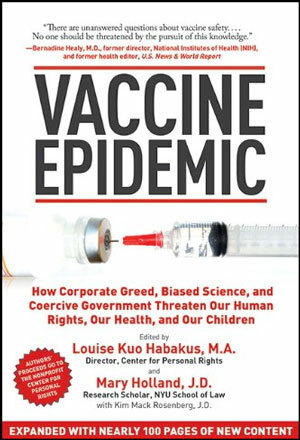 Despite that I am glad I have never vaxxed, it has lead me down the road of health and strengthening natural immunity. Meg Annan: 3 kids, 2 are 100% vaccine-free. They are 3 and 3 months. Excellent health. My infant never got the cold that just went through our house. My 3 yo had it for a few days. My older son, 5, who had a few series of vaccines before age 1 still has a cough. He always gets sick first and stays sick the longest. My unvaccinated kids are healthier. They’ve never been on antibiotics and have no allergies. No asthma. 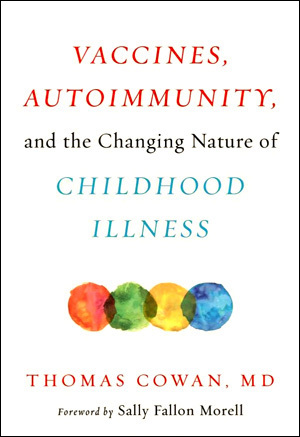 No autoimmune disorders. 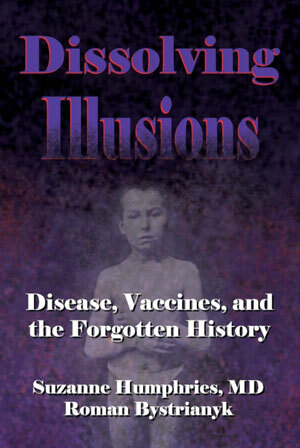 Melinda Raus Hicks: One totally unvax. Very healthy, hardly ever gets sick. No allergies, no asthma, never had ear infections, gut issues, etc. The one time she got very sick…when children in her class got the flu mist that included swine flu (about 6 years ago when it was all the rage). From what I’ve read, the nasal vaccine is live and remains communicable for days. Of course, these children got the vaccine and went right to school, thereby spreading both the flu and swine flu strains. We go to a naturopath and if she were to contract anything like measles, we know they can help her get through it with ease. Lily Crowson Argo: Whole family is Vax free I have 3 boys , 4yrs, 19 months and 4 months. Have never had ear infections or any major sickness that involves the Dr. Only go to Dr on check ups. Have never had to have antibiotics. Very smart and all early at many things they have done. Proud to be vaccine free !!! 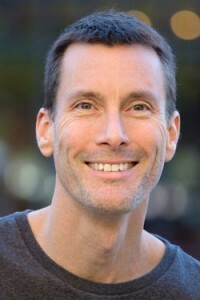 Nick SanClan: My six year old received his vaccines up until month 4 and I decided to stop since he would have terrible localized reaction on his thighs and a fever of 103. I felt very pressured to vaccinate my 2nd son who is now 4 & has received them all (even spaced out). He has been very sickly since he was an infant. He has allergies to antibiotics, had frequent cold and ear infections, trouble sleeping, a sensory processing disorder, and very hyperactive. I swear I will never allow him to receive another injection of poison! My youngest daughter, almost 2, has never been vaccinated and she is so extremely healthy. She has never needed antibiotics and when she gets sick it is very mild and her body gets rid of the sickness super fast. She is by far my healthiest and happiest child. Stacie Maxwell: I’m a mother of 4. 17, 13, 6, and 16 months. My oldest 2 were given their vaccines according to schedule. My 6 year old was vaccine injured at the age of 2. So, I’ve stopped ALL vaccines. My 16 month old child is the picture of health. Never has seen a DR except for at birth. He’s never been sick, except for when cutting teeth. Eden Jensen: My almost 4 year old son had the 6week ones and that was it, my 7.5month old has had none and will never have any. Their health is amazing next to never sick, just the common viral cold, never had infection. Amy Trimble Schmidt: I have 3 children, one is 100% vaccine free. Zero health issues. My other two are vaccinated one through Kindergarten vaccines and the other until 18mo. Vaccines. Both with ASD, one with Asthma, one with severe environmental allergies, were sick regularly until we started homeschooling. URI’s, Strep, ear tubes. One child has had 5 sets of ear tubes. Lindsay Madison: 2, never saw a doctor till I decided to get my 5 year old a check up and my 4 year old. They were in the 98-100th % of kids, only have had a couple of sick days each that cleared up quickly. Never an ear infection, or allergy, and they eat organic 98%. Never had a medication, an antibiotic or anything, just probiotics and teas and supplements. M. Glashower: We have 3 daughters & a baby on the way (a surprise). Never have I gotten prenatal vaccines, and only had antibiotics once when pregnant with K (my oldest daughter) because of strep. K had the HiB vax, maybe the Vit K shot – but I honestly don’t remember. She’s now 5 years old and has the flu a little less than one a year. We live up north and it’s not always feasible to take Vit D3. No ear infections (that I’ve noticed – recently learned that kids can have them and the parents never know until a doctor brings it to their attention), no serious illnesses. She & I passed strep back and forth for a month, and that was the only time she’s had antibiotics. B is completely vaxx free. Her illness history is similar to her sister’s, without the strep. She’s how I found out about the ear infections…B’s apparently had at least one that never came to my attention. She’s 2.5 years old. S is also entirely vaxx free. At 7.5 months, she’s recently gotten over colic. I mean the real colic, not just a fussy baby. Since the colic cleared up a month and a half ago, there’ve been no illnesses. S has been on homemade goat milk formula since she was 2.5 months and we’re doing BLW (baby led weaning). I should mention that she wasn’t sick with anything else while she had colic. We plan on raising our newbie the same way his/er sisters have been raised – no vaccines, as healthy food as possible, and vitamins as we can get them. Over all, I’d say our kids are pretty healthy. We only head to the doc/ER when we get worried about something or something’s just not right and we feel uncomfortable proceeding at home without further information. My gut tells me we’ll all be healthier once we’re down south, as we can all get loads more sunshine and outdoor time. K has started learning to read. Pokemon is her motivation, as she doesn’t want any of them to be too old for her, lol! Her first spelling list was only 3 words until she insisted on two more being added. She also had a sentence to practice writing. The day of her test came, and she spelled every word correctly, with no help. She’ll be taking her second test (also 5 words and a sentence) in a day or two. B just started speaking in full sentences the day after I sent the first email. She could count to 10 without help (but not on demand) when she turned 2. Now, she can count on demand, use some ASL signs, knows her basic colors, and can sing just about any song she hears – not always getting the words right, but has the melody/tune down pat. She also enthusiastically started Tot School (homeschool tailored for her age) and can match pictures in the My First Words game without any help at all. She also knows most of what is depicted within the pictures. The only things she has trouble with are things she’s not familiar with in real life (scooter, a bar of soap – we use liquid Castile). B also has recognized her self as separate from her family members and will often say “I’m B. You’re Mommy. You’re K. You’re Daddy.” K didn’t see this until she was 3. Rhandall Dawn: 2 partial vaxxed -sick a lot until i stopped. 1 with only hep b at birth and he’s 3 now. super healthy! Wish I could say any of mine were vaccine free.!!! But no one in my home will get any more vaccines. Melissa Jade Heath: Please keep in mind being unvaccinated is only one small part of good health. 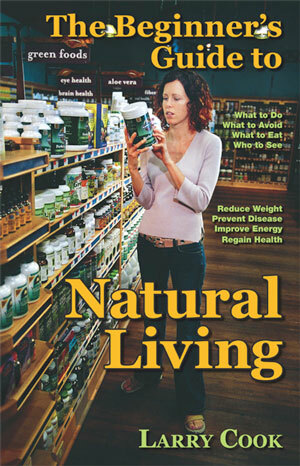 Its about living entirely naturally and chemical free as well. This comes down to food medicines what we wash our hair and clothes with etc. Stacey Godme-Taylor: Two vaccine free kids! A 3 year old and one year old neither of which have ever had to go to the doctor, never had antibiotics, never had ear infections or any other health issue! They are by far the healthiest kids compared to their vaccinated family members and friends. Angie Su: 2, and they are super healthy. My 4 year old only gets a cold here and there, but besides that he has a perfect health, has never had antibiotics in his life. Neither my baby 4 months old. My oldest only got food poisoning once but it was due to he accidentally drank a bottle that was in the car in a 100 degree weather day. We are all healthy here at my house. Anita Wilson-Bunch: My youngest children are unvaccinated and rarely see Dr’s optimum health is achieved through eating healthy food. My eldest daughter is fully vaccinated and has Crohn’s disease and was diagnosed as being one of the highest etopic patients ever tested. Thank goodness I took the time to do the research before vaccinating my other children. I wish I had have done so before vaccinating my eldest daughter. Sarah Losoya Erickson: One daughter and she’s incredibly healthy. No allergies, no behavior issues, nothing. I breastfed for 6 months and she was exclusively organic for her first year and now mainly organic (when grandma and grandpa don’t take her to McDonald’s). Melanie Lee Stoff: 2 children. Oldest (18 now) was vaccinated until age 4. He had some minor health issues including sleep apnea (had tonsils and adenoids removed). He is in pretty good health now. Daughter is 13 and completely vaccine free. No health issues, but does gets colds etc occasionally. 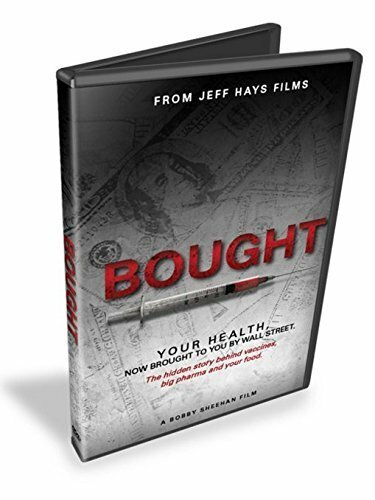 I was nervous about not vaccinated my daughter (13 now), but now I know that vaccines are a money-making scam!! 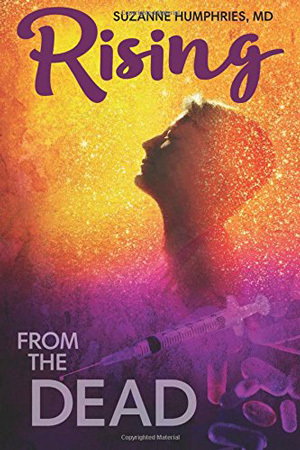 Kindle Joy Garrett: I am 21 and have never been vaccinated. I am extremely healthy. I don’t do anything special but I rarely get sick. 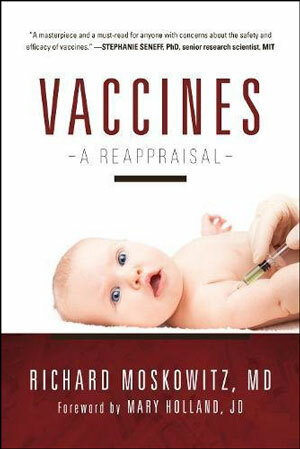 My daughter is 4 months old and I don’t plan to ever vaccinate her. She hasn’t gotten sick at all since she was born. Brenda Trudell-Kazda: I have a 17 month old, no vaccines, no vit k shot, no antibiotics, no tylenol, still breastfed. One small three day cold last winter, which was mostly runny nose and a slight fever. She is super healthy, and even avoided the norovirus at 7 months when her dad and I got hit. She is smart too. 🙂 she also gets regular chiropractic adjustments by me. Bianca Barrett: I have one 7 yr old completely vax free. Besides a bout with ear infections as an infant she is as healthy as any parent could wish. She hasn’t seen a doctor in year’s. She gets a cold maybe once a year and that’s about it. My other two who have had varying levels of vaccinations ( one stopped at 5yrs, the other at 1yr ) are also very healthy. Alexandra Holley Kotanko: Four kids: 2 completely vaccine free, 1 with one set, and 1 complete through 18 months. They are all very healthy, though my first two were incredibly sick until we implemented diet change and stopped vaccinations. Kayla Dumas: 1- He’s 20 months old. Only ever had a cold after he was a year old. Born in the middle of “flu” season and had 2 brothers in school. My 5 and 6 year old haven’t had vaccines since 1 and 2☺ My oldest was vaccine injured which started my questioning. Maggie Erwin: My baby just turned 1,, no vit k, hep b or any other shots,, she gets ear aches but I think it’s more her teeth coming in ..rarely sick and it usually doesn’t last long,, advancing faster than her vaccinated cousins her age. Lonnie N Alyssa Liewer: 3 boys – 4, 2 and 5 months old. Completely vaccine free, and extremely healthy. No allergies, and usually one head cold each winter. They’ve never had a “well baby check up” and the only Dr they see after being born is our chiropractor, who they start going to at just a few days old. He has done amazing things with my kids. Nina Ronsvalle: I have 1 completely unvaccinated child (21 months) and 1 who is partially vaccinated (8 years) who hasn’t had a vaccine in over 6 years. Both my children are in perfect health, no allergies, asthma, earaches, and hardly ever get sick. Alison LeBoeuf: My 3 are unvaccinated. They attend public school with a religious exemption and barely ever miss a day due to illness! I’m very happy that I didn’t cave into pressure to vaccinate them!!! Oh, they are 17, 13, and 10 yrs old. Candy Marshall: One and he is MUCH healthier than my partially Vaxxed (until 1) daughter and fully Vaxxed (until 2) son. Never had a single round of antibiotics. He turns 4 next week. Heather Brandt: My 7 year old has never had a vaccine. He has zero health problems, has never had an ear infection, and besides checkups, he has been to the doctor once. It was for pink eye, and he only did two doses of the 7 day antibiotic before it cleared up on its own. Cheyanne Nance: I just have 1, he’s almost 3 months…. I guess he’s healthy?? Very aware and alert tho, and tried to crawl, very good head control, extremely good baby. Has had a belly ache one time and was fussy, other than that, perfect! 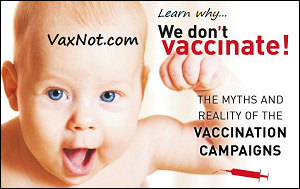 Camille Carter: I have a 2.5 yr old Son unvaxed ….very healthy, never had to use antibiotics. Adrian Medrano: 2 out of 4, and the two that haven’t been vaccinated are of excellent health and advanced mentally and physically.. Both shake off sickness with ease. The other two get sick easily and stay sick longer than the other two. Courtney Davis: Grandson fully vacc free. 20 months. Healthy,strong, and the most smartest happiest handsome kid I’ve ever met! wish I would have known with my kids. But they were different then. We got lucky! Alicia Midey: Baby #1 had vaccines until 1 yo when I begin to question them. Baby #2 had received 2, and baby #3 has none! So glad I went vax free 4 years ago! My kids are in excellent health. Erin Ford D’Amico: 16 yr old vaxxed to MMR. Full blown Autism, Epilepsy and P.A.N.D.A.S. 9 yr old 100% vaccine free and Healthy as can be. Never ever taken antibiotics, no ear infections or allergies. You can click the Facebook icon in the upper right corner to read more comments or post your own comment on either thread, and/or post a comment below in the comments section. 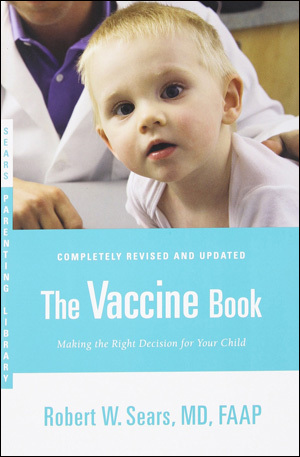 If you are a parent wondering about going vaccine free, click here to read our vaccine free article on the topic written by Brittney Kara.